2019 Duck Race Website info will be updated soon! COUNTDOWN TO DUCK RACE 2019! 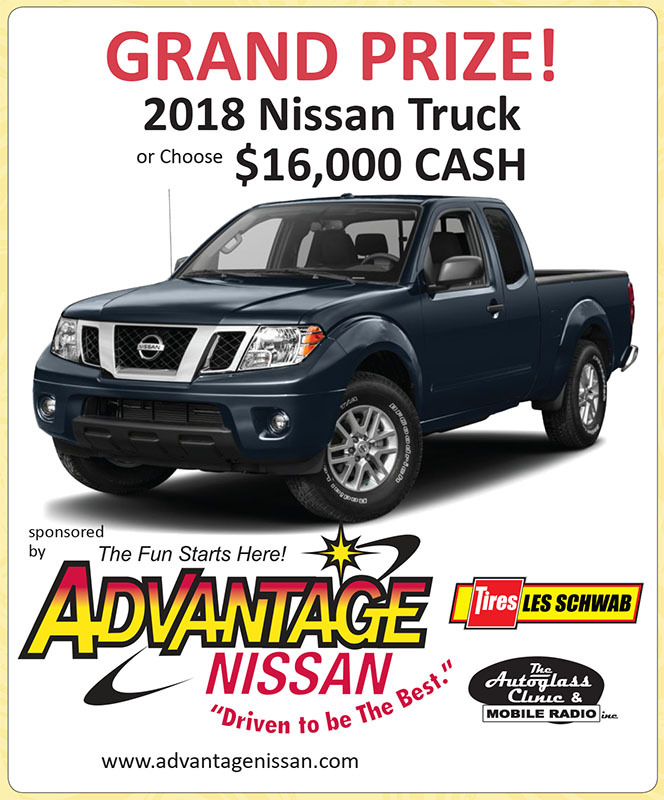 Congratulations to our 2018 Grand Prize winner! Prizes can be picked up at Kitsap Bank in Silverdale, during business hours. 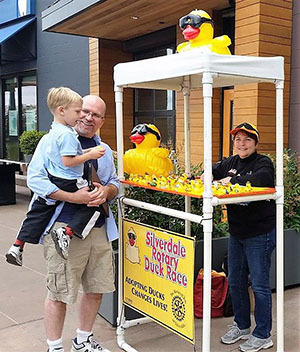 The Silverdale Rotary Club hosts the annual Duck Race during Whaling Days, held the last weekend of July at the Silverdale Waterfront. When you purchase duck tickets you are contributing to programs that support our community. Buying duck tickets changes lives. Thanks to community sponsorship and volunteer support, all money raised goes directly to programs that impact the lives of those in need. 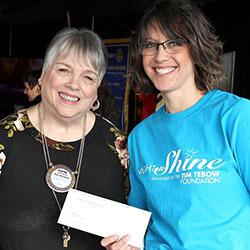 From feeding homeless children, supporting the Teen Center at the Haselwood Family YMCA, and Stand Up For Kids, to providing scholarships for graduating High School Seniors, dictionaries to 3rd Graders or supporting Corey’s Day at the Farm, the Silverdale Rotary Club supports our youth. Elayne Burton, Silverdale Rotary Club Treasurer (at left), presents a Duck Buck check of $1,500 to recipient Kali Jensen of Night to Shine. Night to Shine is a prom for people ages 16 and older that have special needs, sponsored by the Tim Tebow Foundation and hosted by newlife. 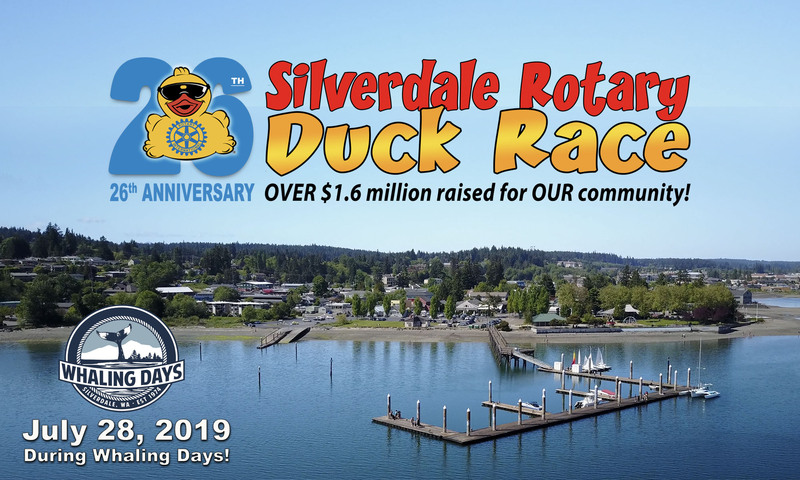 Silverdale Rotary awarded a record-breaking Duck Buck grant of $3,000 to Holly Ridge Center to support infants and toddlers who are diagnosed with a disability or who have a developmental concern at birth or in very early childhood. 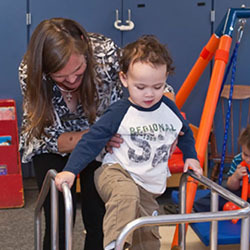 The Duck Bucks will purchase equipment to support early intervention. 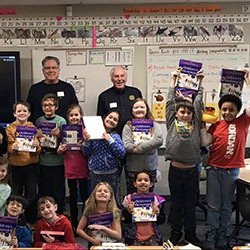 Classrooms across Central Kitsap elementary schools got their brand new dictionaries from the Silverdale Rotary Club. The kids were smiling from ear to ear and cheering with excitement which makes it a rewarding and fun use of money from the annual duck race. 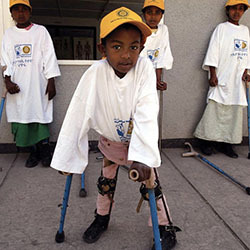 Rotary members have played a key role in bringing the world to the brink of polio eradication. Their efforts have not only ended polio in 122 countries but also created a system for tackling myriad other health priorities, such as Ebola. Money from the Duck Race reaches around the world. The race is tomorrow. (Sunday, July 29th at 3pm) Tickets are now only available at Hallmark by Silverdale Safeway, along the First Federal Lions/Kiwanis Grand Parade on Saturday, and at Whaling Days. Oh and be sure to tell them thanks. They’re all volunteers just trying to make this world a better place for all of us. Can’t Find a Ticket Location? Email us and we’ll send you the latest ticket locations near you!